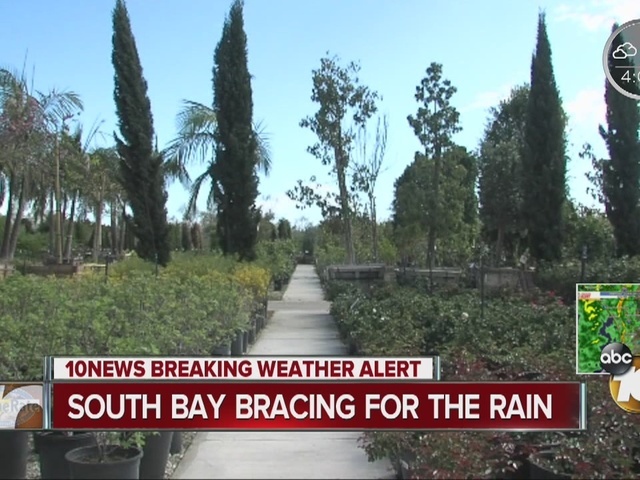 SAN DIEGO -- A cold late-winter storm moved over the San Diego region, kicking in just in time to ensure a soggy Friday-evening commute. 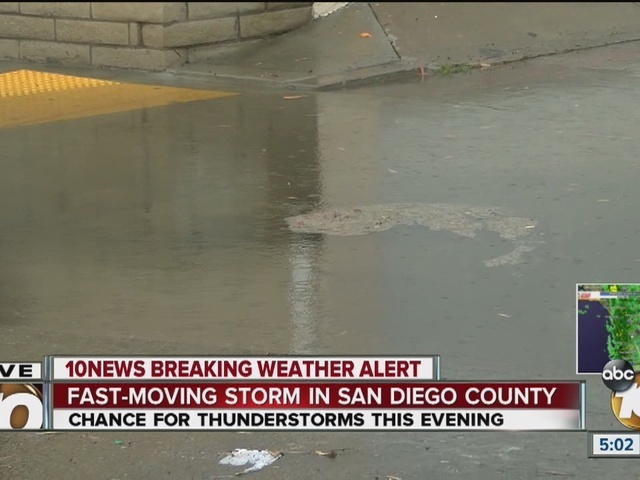 The showers, which began dousing the county in the late afternoon, likely will continue overnight, according to the National Weather Service. Before dissipating and moving out of the area Saturday morning, the dark clouds should drop from a quarter- to a half-inch of precipitation in coastal communities, about one-third to three-quarters of an inch in the valleys, a half-inch to 1 1/4 inches in the eastern highlands, and traces to a quarter-inch in the deserts, forecasters predicted. A wind advisory cautioning of sustained air currents up to 35 mph and gusts as high as 60 mph went into effect this afternoon. It was slated to expire for coastal and valley locales at 4 a.m. Saturday, and in the mountains and deserts two hours later. The strong winds could knock down tree limbs and kick up enough sand and dust to hazardously limit visibility along desert roadways, the NWS advised. Several inches of snow could accumulate at altitudes between 5,000 and 6,000 feet, and up to an inch of rain is expected in some mountain areas, according to meteorologists. Following the storm's departure, the weekend should be partly cloudy but dry across the region, the weather service reported. There will be a chance of more showers Monday and Tuesday, followed by mostly sunny skies for the remainder of the workweek, forecasters said.